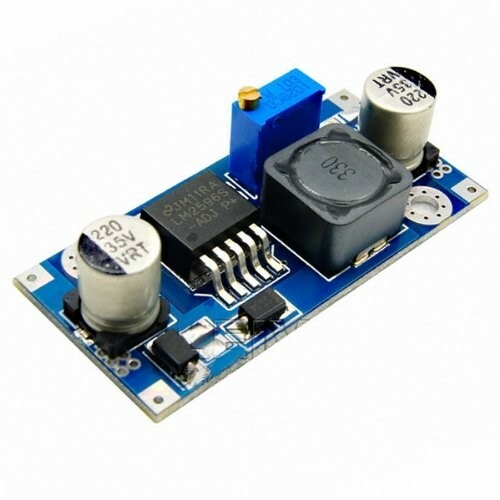 The LM2596 DC-DC buck converter module is a high precision module capable of driving a load up to 3A with high efficiency. They work well with most modules and boards. Be sure to connect a heat sink to it if your output current is greater than 2.5A or when your output power goes beyond 10W.